Sometimes in life, you come across a voice so present and singular in its tone that it makes your entire world stop for a moment and all the hairs on your neck stand up. The Last Artful, Dodgr has proven to be one such phenomenon. Born in Los Angeles and currently inhabiting Portland, Oregon, The Last Artful, Dodgr's own unique brand of rap-singing, made up of casually delivered triple entendres, unforgettable melodies and an ever-changing stream of cadences, has begun to spread like a wildfire in recent months. 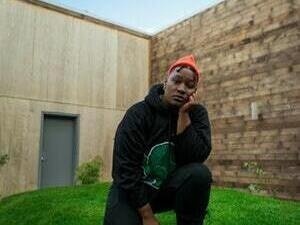 From her noteworthy singles "Squadron" and "Oofda" topping Spotify charts, to her manifested-thru-song appearance on the legendary Sway In The Morning radio show, everything has been coming up Dodgr in 2016. And really, she's only just getting started - with all of this leading up to her forthcoming duo LP, Bone Music, a collaboration with producer Neill Von Tally due out in early 2017. With: Karma Rivera, Maarquii, White Lotus. Hosted by Masyn Wade. Presented by Friends of Noise.